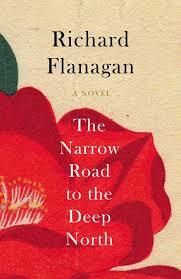 The 2014 Man Booker Prize was awarded to Australian Richard Flanagan for his novel The Narrow Road to the Deep North. Even though this was the first year that Americans were allowed into the competition, this year’s Man Booker Prize was awarded to an Australian, for his novel The Narrow Road to the Deep North. The book, named after a travel sketch by the Japanese poet Basho, centers on the story of surgeon Dorrigo Evans in a Japanese POW camp on the now infamous Thailand-Burma railway. “The two great themes from the origin of literature are love and war: this is a magnificent novel of love and war. Written in prose of extraordinary elegance and force, it bridges East and West, past and present, with a story of guilt and heroism. The Narrow Road to the Deep North was inspired by the life of Flanagan’s father, a Japanese prisoner of war who survived his time on what became known as the “Death Railway,” but sadly, died at the age of 98 on the very day his son finished work on the book. “The battle, Flanagan told the BBC, “was to write something that wasn’t [my father’s] story but, at the same time, true to the fundamental spiritual truth of his experience,” Flanagan told the BBC. “He trusted me, he never asked me what the story was. But I did talk to him often about very small things. “What the mud was like, what the smell of a rotting tropical ulcer that had eaten through to the shin bone exactly was. What a tiny ball of sour rice would taste like when you’re starving, what starvation felt like in your belly and your brain. He added that while the book is set during the second world war, given current events, it has a strong contemporary resonance. As for Flanagan himself, with British odds makers favoring any of the three British authors to win, he was somewhat surprised to find himself accepting the award from the Duchess of Cornwall. “In Australia the Man Booker is sometimes seen as something of a chicken raffle,” Flanagan said. “I just didn’t expect to end up the chicken.